DIGI ConnectPort TS 8/16 serial servers provide secure, easy RS-232 or RS-232/422/485 serial-to-Ethernet integration of virtually any device into wired Ethernet networks. They are ideal for use in a wide variety of demanding applications such as automation, robotics control, centralized device monitoring and management, data acquisition, and point-of-sale applications requiring COM/TTY ports, serial tunnelling or TCP/ UDP functionality. The ConnectPort TS implements Digi’s patented RealPort COM port redirection software which provides local serial port functionality. The ConnectPort supports both hostinitiated and device-initiated RealPort connection modes. SSH, SSL, TCP and UDP connectivity are also supported to each port. DIGI ConnectPort TS 16 MEI serial server provides secure, easy integration of virtually any serial device into wired Ethernet networks. It is ideal for use in IPv4/IPv6 United States Government Department of Defense networks. 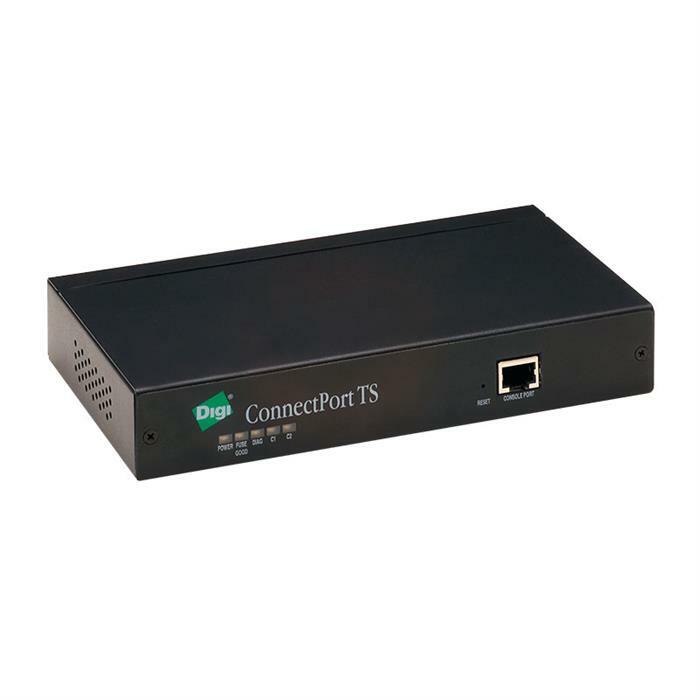 DIGI ConnectPort TS 16 serial server provides secure, easy integration of virtually any serial device into wired Ethernet networks. It is ideal for use in IPv4/IPv6 United States Government Department of Defense networks. Digi ConnectPort TS 8 MEI, 8-Port RS-232/422/485 to Ethernet Terminal Server. It is ideal for use in IPv4/IPv6 United States Government Department of Defense networks. PepLink Balance One router with dual-WAN load balancing delivers big-business up time and speed in an affordable package designed just for SMBs, branch offices, and power users.